We are a Leeds based organisation providing services to all our customers throughout the North of England. Our objective is to focus entirely on maximising value for our customers by providing a high quality, cost effective service for which we are renowned. Our experienced teams work closely together to provide full-service delivery with a wide range of skills and excellent customer service, thus ensuring we deliver services safely, on time, within agreed budgets and exceed customer expectations in every respect. 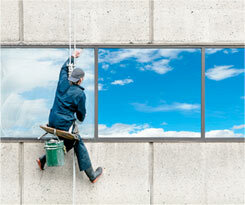 We are fully insured and work strictly to health and safety standards. 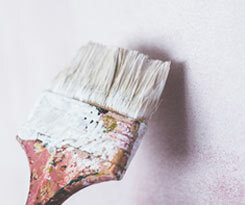 To learn more about the services we offer including patio, Gutter cleaning and Graffiti removal, please browse our website and give us a call if you have any questions. Waterforce Window Cleaning have worked for St Johns Centre providing a window cleaning service over the last three years. St Johns is a busy shopping centre with a multi-story car park and office block. Waterforce have provided a competitive cost for their services, and work of a very high standard". "The company have also carried out several other services throughout the contract such as, jet washing, gardening and installation of bird spikes to high level signage on the building. I would have no hesitation in recommending Waterforce to any other business that may require their services". Waterforce is one of the easiest companies who work for us for quality and dependability, cleaning a number of shops we have the National Contract for, in areas we aren’t able to service directly. Working with Waterforce is a great pleasure, which is attributed to the consistent reliability and great communication at all times". "We would like to take this opportunity to thank Waterforce for the services they provide in their area for their amazing professionalism, the quality of work, and service that they provide to us!" "In addition to cost, Waterforce has always provided great customer service, reliability, courtesy and professionalism". Waterforce have been instrumental in keeping the appearance of The Core Shopping Centre at its very best, all year round through all weather conditions, good or bad. 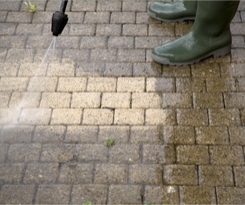 High level cleans are a speciality, along with deep cleans and jet washing. 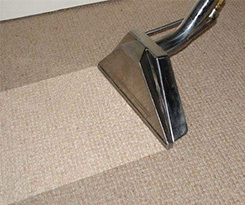 No task is too small and every task is carried out to an extremely professional standard, as a business we can highly recommend. Oltec FM have been working with Waterforce for several years now, using them on a number of sites, for window cleaning and high-level cleaning. The level of service received from Waterforce is of an exceptional standard and we would highly recommend them. Not only is the work carried out to an excellent standard, the staff on site are professional and efficient.